There are meters in nearby streets but please check as availability is limited. Nearest tube station is Chancery Lane. Take exit 3 heading east, go past McDonalds and take the first turn on your right. Walk to the end of Furnival Street and turn right. Next right is Tooks Court. We decided to open our own vegetarian restaurant back in 2004. We set some standards for the food: no dish would rely on pasta, meat substitutes or heavy spicing. We would create menus of unusual combinations and flavours which challenged the norms. 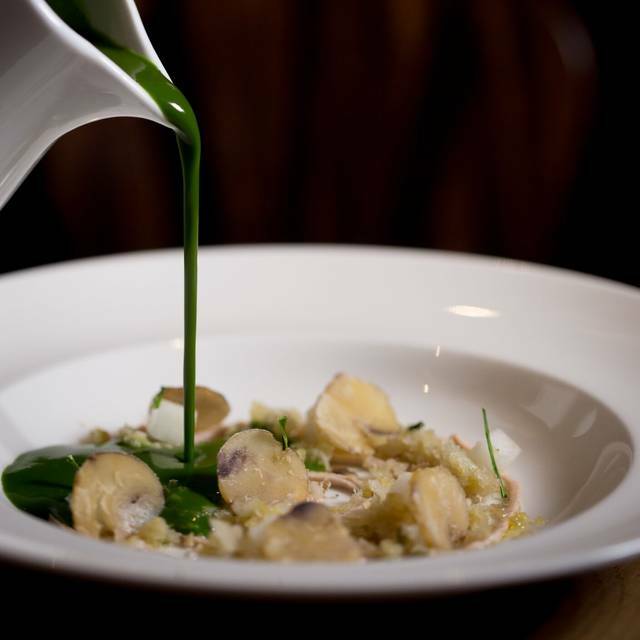 At the restaurant we serve a twist on traditional English and French classical dishes, reinvented as vegetarian food. The fact that it is vegetarian is not the point; in fact it's neither here nor there. The dishes we create here are forward thinking, our food is challenging. It's different. Smashing stereotypes. You don't even have to be vegetarian. We didn't think we would have to put that warning on our website, but we did. I went for my birthday and it was pretty good. I got the 5 course vegan menu. Very unique dishes which I appreciate. Although the dishes were small, I did feel pretty full by the end of it without feeling heavy. However, its not somewhere I would go again as nothing wowed me. Don't get me wrong, the food is good but I feel like there is just something missing. Considering the high bill at the end - I don't feel like it was quite worth all the money. As a vegetarian it was quite an interesting experience. The food was delicious and combinations I had never tried. The ambience and staff were good. The only problem I felt was that they were rushing us. We had to make choices very quickly and the staff kept poking while we ate, to see if we finished. I have never had that at a Michelin star restaurant before. And I have been to plenty between London and NY. We had the tasting menu with the paired wine. Every part of the meal was fantastic. All the waiting staff were friendly, attentive and warm and the restaurant was beautifully decorated and pleasantly busy without being too full or noisy. A wonderful, wonderful evening. The food is delicious !! Fresh and creative ! My friend who is a met eater loved it !!! 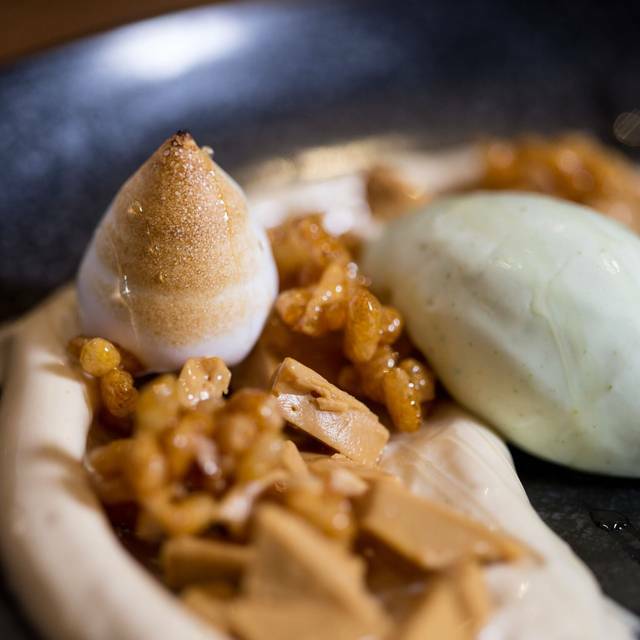 A review of Vanilla Black’s Vegan Tasting Menu. £55pp. I feel like the only person in the crowd who could see the emperor was parading around in his birthday suit. Without doubt the most shockingly overpriced and hugely underwhelming dining experience I’ve ever had. My suspicions were aroused early on when the waitress didn’t understand my order of a bottle of Provence Rosé. Given that there’s only two on the list, the other being from Italy, it shouldn’t have been difficult. Then came the clattering down of extra cutlery by a different waitress showing a distinct lack of care. Having said that, all of the staff were nice and friendly. The first dish served was an amuse-bouche. A shot glass of a fairly pleasant tomato concoction with two homemade crisps. Sadly, it was downhill from there. A bizarre hard crusted fish finger looking block of sticky rice in some sort of deconstructed sushi. Then a very bland forgettable fennel dish followed by a potential highlight of cocoa cauliflower with a final savoury dish of incredibly greasy, rubbery mushrooms and an unsubstantial afterthought of a dessert. It’s a sad state of affairs when probably the best thing you eat is from the bread basket. A slice of warm sourdough alongside what may have been a smoked thyme oil. I’m at a complete loss as to how they can charge £55 per person. That’s £11 per dish! Utter robbery. 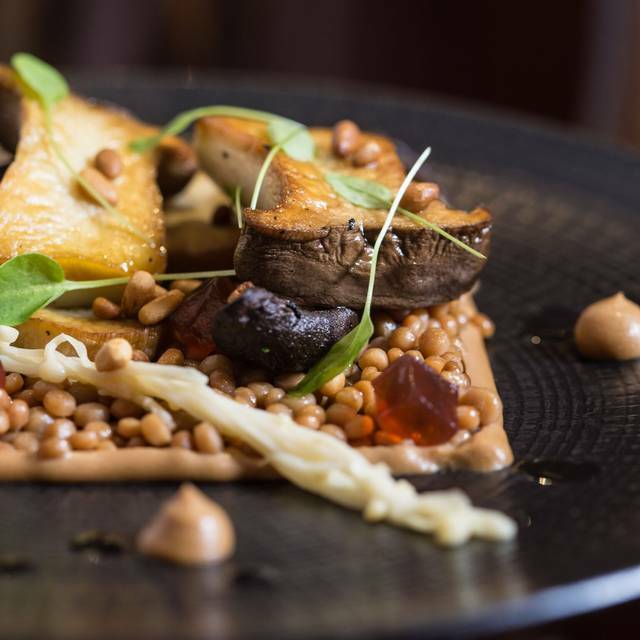 I was fortunate enough to experience the award winning Vegan Tasting Menu at Gauthier Soho recently. A restaurant award a Michelin Star in 2011. 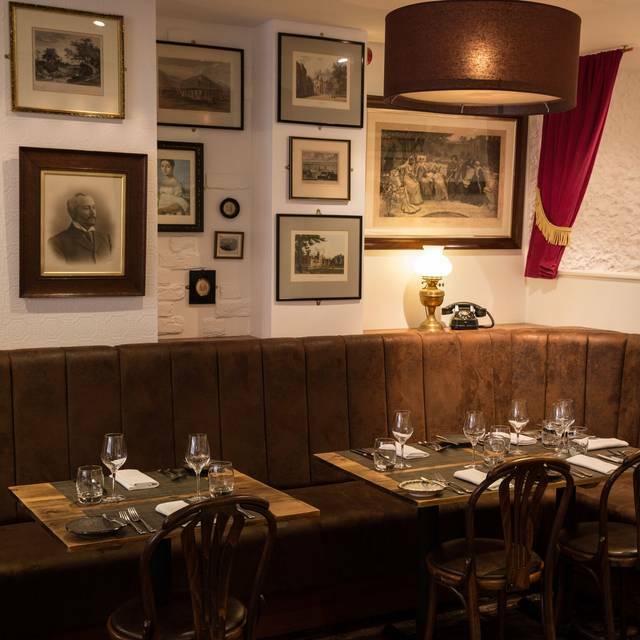 Their menu is £10 per dish and is nothing short of incredible. 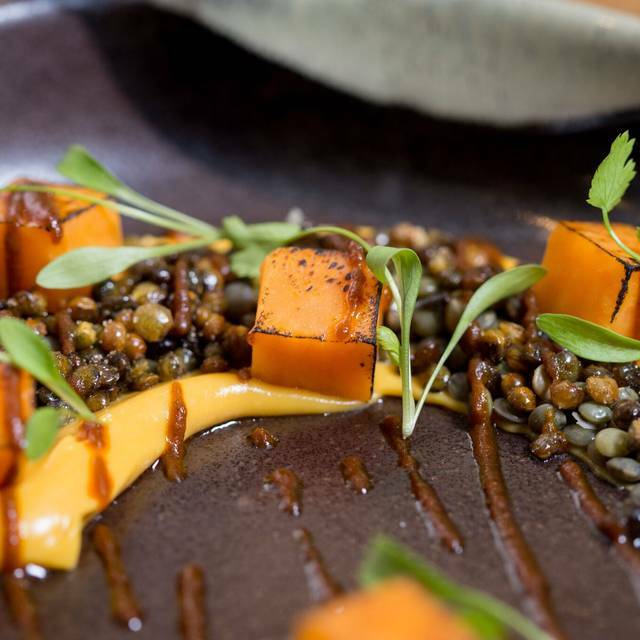 If you’re looking for high end vegan dining, where you can have a complete experience that leaves you feeling happy and satisfied you’ve had value for money, head to Soho. If you don’t mind throwing your money away and still fancying chips on your way home, Vanilla Black’s for you. Excellent as always. Love the combination of flavours. As a vegetarian, it was great to eat somewhere and have so much choice. It made a change to having slim pickings of a mushroom risotto or Mediterranean tartlet. To also have the option of Vegan was also refreshing. My friend isn't vegetarian but was equally as wowed by the variety and high standard. Would definitely visit again, next time I'm in the city. Lovely restaurant. I bit hard to find but worth it. Staff were really friendly. We had the tasting menu with wine. The wine waitress was excellent and all wines were explained. The food waitress whilst explained what we were eating was a bit quick and seemed uncomfortable with explaining it. Overall the experience was good and I would recommend. Brought a friend for a birthday lunch on Sunday. The food is wonderfully cooky and if you're a foodie you'll enjoy guessing what the various ingredients on your plate are and marvel at the beautiful presentation (particularly the starters and dessert). I've been a few times and there has always been something not quite right about Vanilla Black that I could never quite put my finger on before. This Sunday I figured it out. 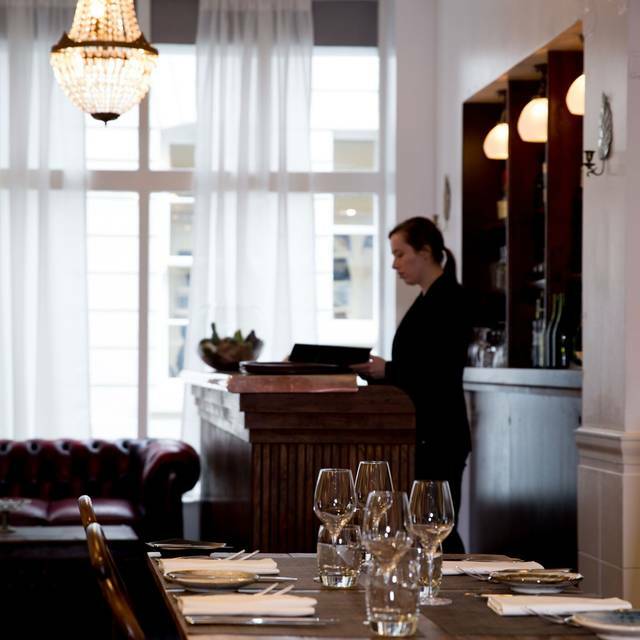 There's a coldness and lack of ambience that permeates the service and the décor. It's almost unnerving. You are handed beautiful plates of food but it is done with such lack of warmth and life that you are not excited to eat it. Or rather, you feel as though you shouldn't show your excitement to eat because that might somehow be gauche of you. I would describe the restaurant as being at the very top of mid-range restaurants. It doesn't need to put on airs and graces because it is not a high end restaurant in that sense. Given this, it needs to lighten up and maybe play some soft music in the background so it isn't so awkward, instruct staff to smile and deliver a lively service and maybe inject some warmer tones to the restaurant décor. Also - I (woman) asked for the bill and paid. When I was finished paying the waitress handed back my card while making eye contact with my dining companion (man) and thanked *him* . Awkward. We showed up an hour early and the staff was gracious enough to seat us early. The flavor pairings were inventive and yummy. A real treat! I'd recommend to anyone, let along veggies and vegans. They provided a special birthday treat which was beautiful too. Exquisite food, full of surprises. Our group of 5 carnivores and 1 vegetarian went for the vegan fixed menu and all found it a delight. Portion sizes are on the light side. The room was pretty noisy and the individual seats (none of us had the banquettes) were hard - and frankly, way too uncomfortable to sit on for two hours. Do consider changing them! The staff were very pleasant and efficient but we could have done with a bit more knowledge/enthusiasm in explaining about the food, since each dish was extraordinarily inventive; you are obviously passionate vegetarian cooks and it would have been nice to hear some of that passion and engagement in the delivery. But overall, bravo! Nice restaurant, well presented food, but slightly too salty, good service, nice wine list. The food was excellent and very unique. The staff were fantastic also, very professional. Location is easy to find and the place itself is beautifully decorated and presented. My girlfriend and I were there for our anniversary and they added an extra touch to make it a more memorable night. Will definitely be going back. Really nice evening, great wine and food! Would definitelycome again. Amazing dining experience! 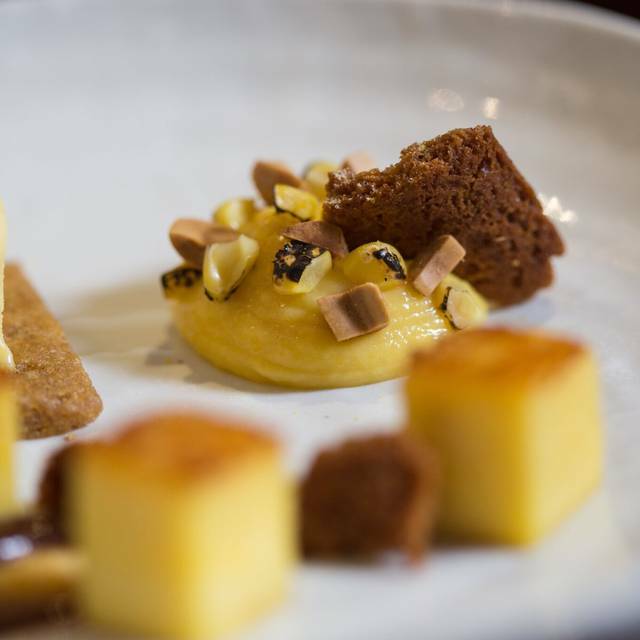 We were intrigued by the idea of a gourmet vegetarian tasting menu and decided to give it a try. The dishes are extremely creative, while using a minimal amount of ingredients each (one course is fully made out of fennel and nothing else!). 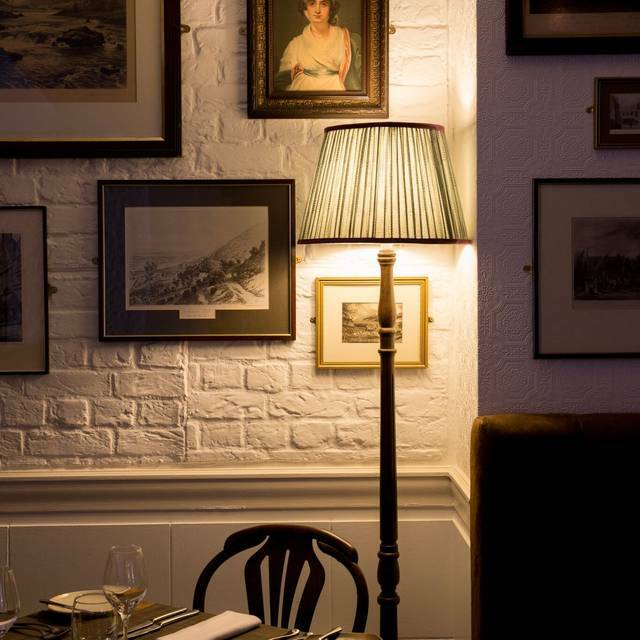 Vanilla Black's atmosphere is intimate and allows for the conversation to flow easily amongst diners. Good wine options round off a delicious menu. Ideal for a romantic dinner or trying something new! The restaurant offered an interesting selection of meals. We went with the tasting menu which had some nice plates but wasn’t amazing. The service was good. Would not go again. Wonderful experience - will return here when next in London. The food was imaginative, unusual and delicious, and the service was helpful and good-natured. We liked the decor and the ambience. Our only reservation was that we felt that the portions were small. Maybe fine if you have the five course menu, but if you are only having starter and main you might end up still feeling hungry, as we did. I am a Mediterranean omnivore who grew up with 30 degree summers and 20 degree winter. I used to lots of light and healthy fresh fruit and veg year round. Vanilla Black creates delicious gourmet vegetarian and vegan food without loading you up with cheap fillers like rice or pasta. Each of the ingredients is treated with care and presented beautifully. I had the 3 course lunch and was full and satisfied. I did not need a snack in the afternoon. Imaginative and inspired - nothing about this menu that we didn't love. Can't wait to come back and enjoy it again! We booked Vanilla Black for a special Celebration for my daughter. Everything about the whole evening was excellent. Whilst we had an OK experience and staff were very friendly, I don't think I'd recommend it to others. The dishes were very small, and I wasn't sure about the food combinations - they weren't particularly balanced dishes. My colleagues main dish was entirely orange/beige and it was hard to even identify what some items were. It would have been good to see some leafy greens, grains and sauces to make it a more substantial and interesting plate. I had the barley and potato (which essentially resembled a mini 'alternative' shepherds pie) and this was much better, but again, I had about 1 bite of cabbage, more greens and substance would enhanced the dish. Dessert was the best course - the vegan banana dish was great, lots of flavour and texture (and bigger than my starter and main combined)! Given it is a vegetarian and vegan restaurant, we were very disappointed to learn that they only offered soya milk as a diary-free alternative. This is full of chemicals and hormones like oestrogen. Where are the nut/oat based alternatives? Although their concepts are interesting, it think there are other veggie restaurants out there that are doing it better, and at a better price point. They need more alternatives and bigger portions. 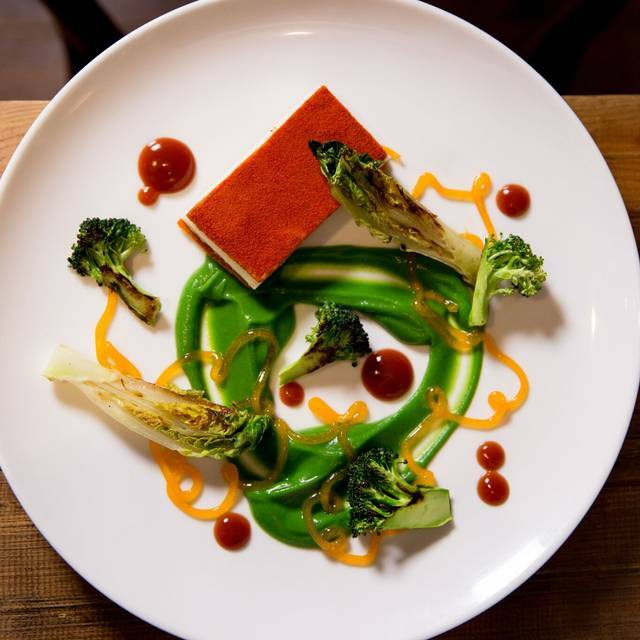 The world has woken up to vegetarianism - fantastic food can be found in almost any top restaurant. Apologising for lack of pasta bake is dated, as unfortunately is their menu - very bland. Nice staff, atmosphere in main restaurants was nice, we were sat in the entrance which was fine but not special. Really excellent original vegan and vegetarian food for a special meal out. Some of the most delicious food I’ve ever eaten. We had the vegan set lunch menu and I loved everything I ate. You know you’ve had a wonderful meal when you want to lick the plate and have it again. Never paid so much for eating in such a poor conditions and so few. Only waiters were professionals and avoud the evening being a total disaster. It was a lovely experience. Thanks for the nice touch of congratulatory message on our anniversary! Our evening was perfect! The food and service were great! We enjoyed every part of our evening. Especially surprised at the range of the vegan menu which was really different and really tasty! It was such a great experience! This was our second time after two months and one staff member recognised us. Everything about this restaurant is fantastic: incredibly creative food, great selection of drinks, knowledgeable and friendly staff, great venue and location. We're preaching our friends about this place since the first time and there will be more visits soon. Amazingly creative menu, no silly meat substitutes and wonderfully flavourful dishes. The wine pairing was inspired. The starter was nice but not fantastic. Main course came cold and when we returned it came back overly salty (inedible). Didn’t eat half the food. Dessert was very nice best part of the meal. When we came to pay the receipt was brought and we were asked whether we wanted to pay full price. I responded that isn’t my decision, for the restaurant to decide. They chose to charge us the full amount.